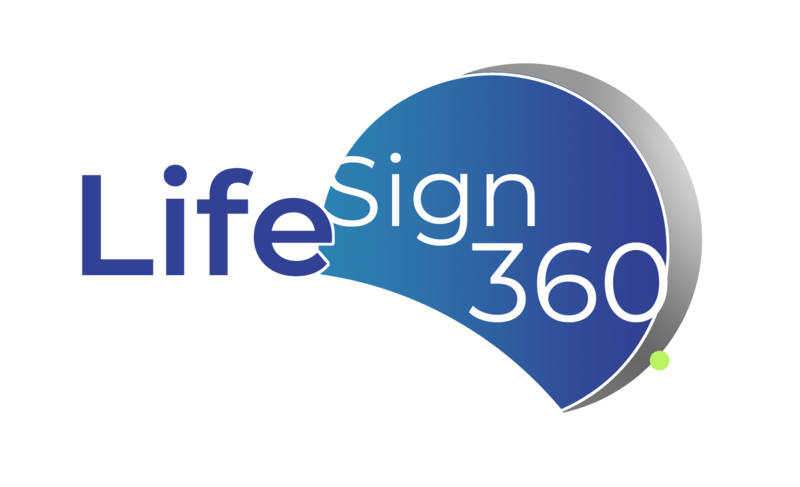 Astro-Vision LifeSign360 is a full-featured subscription of our popular LifeSign Parihara Business Astrology Software. We offer this subscription to make it more accessible: You can now download and use the full product immediately at an affordable price. What's more, you now don't have to worry about upgrades: you get updated to the latest version when you are subscribed. Effortlessly create detailed horoscope reports with calculations, predictions and remedies for your customers. Earn more than what you pay each month. See how. So you make up what you pay for by selling just two reports a month. 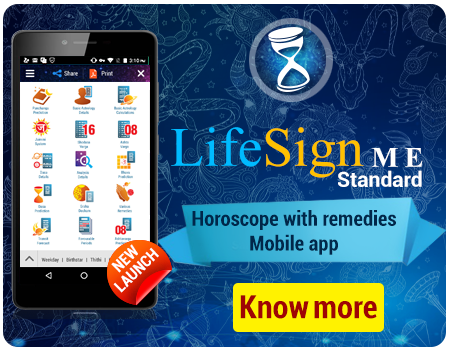 LifeSign360 provides horoscope reports with inclusive calculations, predictions and remedies. 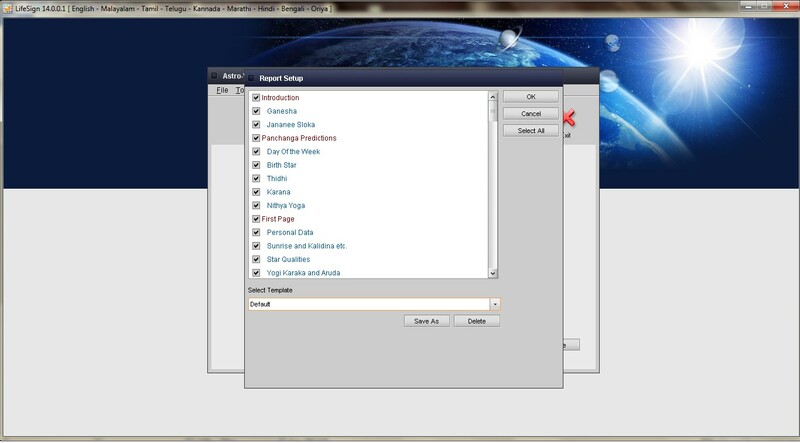 It can let you generate reports in a variety of formats to meet the specific requirements of your customers. The software has more than 10,000 satisfied users which include astrologers, astrology centres and business centres (Internet cafes, STD /PCO booths, Xerox Centres, Marriage bureaus etc.). "I am a regualar user of Astro-Vision software ever since you started, because I found it to be the most authentic, dependable and easy to handle. I take this opportunity to profoundly thank you and your team for such a constant service/support and care for my astro service all these years." Analyses the 12 bhavas in birth chart to give predictions on various aspects - personality, family, career, wealth, health, marriage etc. Details of dasas & apaharas and predictions based on that. Provides remedies for the ill effects of dasas/apaharas too. Predictions on apaharas will be provided for 25 years; so also for the paryanthardasas within each apaharas. Predictions on near future by comparing the present positions of planets with that in the birth chart. Calculates birth star and gives it features & remedies. Checks for Kuja doshas & suggests remedies if any. Finds out the specific combinations of planets causing the yogas and gives its effects on life. Points out the favourable periods for Career, Marriage, House Construction, Business etc. Generates ashtakavarga chart and gives predictions based on that system. Provides Rasi chart, Hora chart, Upagraha chart , Drekkana chart, Chaturthamsa chart, Saptamsa chart, Navamsa chart and various other charts & tables. Calculations including the sayana and nirayana longitude of the planets, the rasi, the longitude in the rasi, the star, star lord, sub lord, sub-sub lord etc. Planetary disposition, planetary friendship, planetary strengths, moudhyam, planetary war, grahavastha etc. Transit of Jupiter through various houses, starting and ending timings and their effects on life. Calculation of vargottama, barga bheda values and varga bheda tables. Jaimini karakas, jaimini padas & aruda chakra. Chitra Paksha/Lahiri ayanamsa, Raman ayanamsa, Krishnamurthy ayanamsa & Thirukanitham ayanamsa. 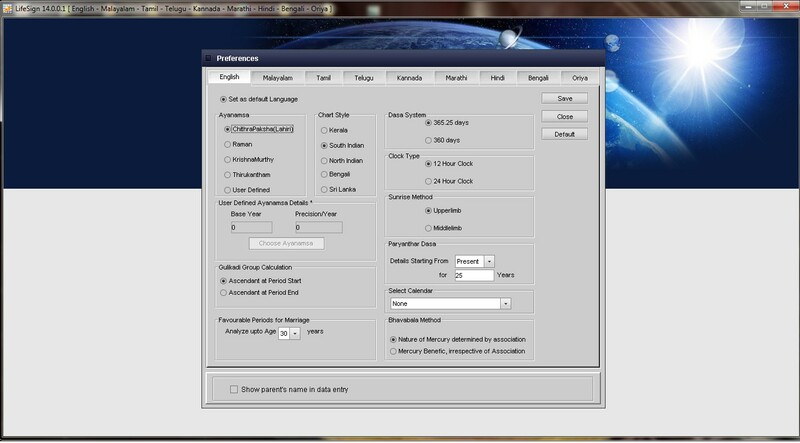 Nazhika to Hour converter for easy cross-reference. Large inbuilt database of cities around the world (their longitudes, latitudes and time zones).